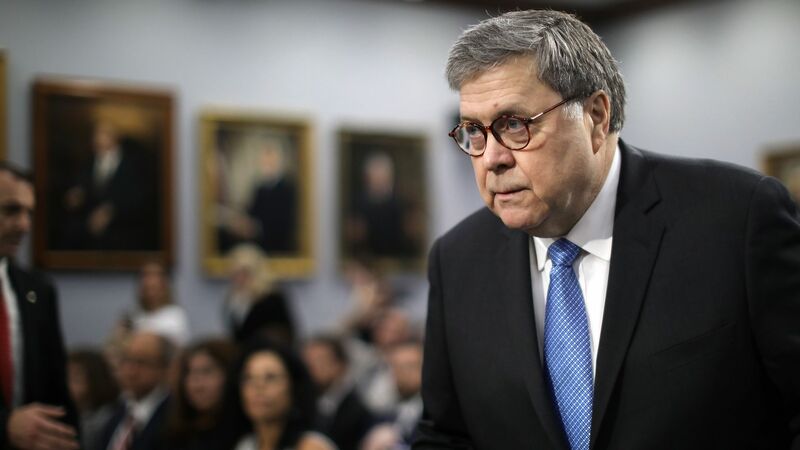 Attorney General Bill Barr said in a House Appropriations Committee on Tuesday that he will be in a position to release special counsel Robert Mueller's report "within a week" and that it will be color-coded and contain explanatory notes for redactions. Details: Barr said Mueller is currently working with the Justice Department to identify information that falls into the 4 categories he has determined should be redacted. Barr also said that he offered Mueller the opportunity to review his 4-page letter on March 24 summarizing the "principal conclusions" of the report, but that Mueller declined. When asked whether he had briefed the White House on the report at any point, Barr declined to answer: "I’ve said what I’m going to say about the report today." Pressed on how he could have summarized Mueller's 400-page report just 48 hours after he received it, Barr said: "The thinking of the special counsel was not a mystery to the people at the Department of Justice prior to his submission of the report. He and his people had been interacting with the deputy attorney in his supervision of the special counsel's office." Asked about reports that the Mueller team was dissatisfied with the 4-page letter, Barr said: "I suspect that they wanted more put out, but in my view, I was not interested in putting out summaries." Barr also confirmed that Congress would not receive an unredacted version of the report at first, but that he's "glad to talk to chairman Nadler and chairman Graham as to whether they feel they need more information and see if there’s a way we could accommodate that." Barr said that he doesn't believe he has the latitude to release grand jury material related to the Mueller report and that he doesn't intend to ask a judge to unseal it. He added, however, that House Judiciary chairman Nadler can ask if he wants.